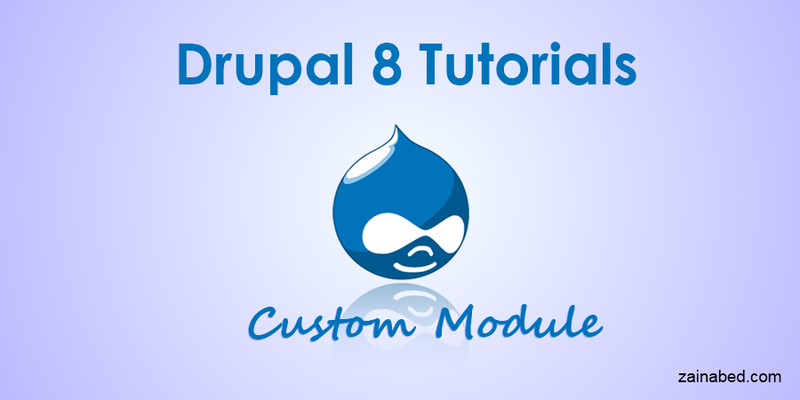 Custom Module development in Drupal 8 is very simple. It may looks very difficult for developer who has Drupal 7 experience or nothing at all. This tutorial will show easy steps and helps you to create custom module within few minutes. Content or example of this tutorial may change according to Drupal 8 version and its release. This tutorial is divided into three small sections. In first section of this tutorial we will see what directory structure we need to create for a custom module. 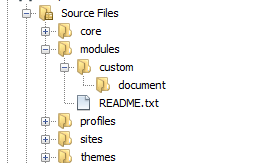 In second section we will see what type files we need to create. And in last section we will see what code we need to write in those files and configure them in Drupal 8. All custom module in Drupal 8 reside under “module” directory of Drupal 8 project. To create a custom module we will create a new directory named “document” under custom folder. Second thing that we need to create is YAML files which represent custom module configurations. Followings are files that you need to create. only document.info.yml file is enough for configuring of document module. Above configuration settings are very descriptive except only one parameter which is type. As we are creating custom module therefore type parameter must be typed as module. Now your module is ready to enable and use. Then select check box before document module name and click “Save Configuration” button. Next tutorial will help you create custom controller for this custom module.